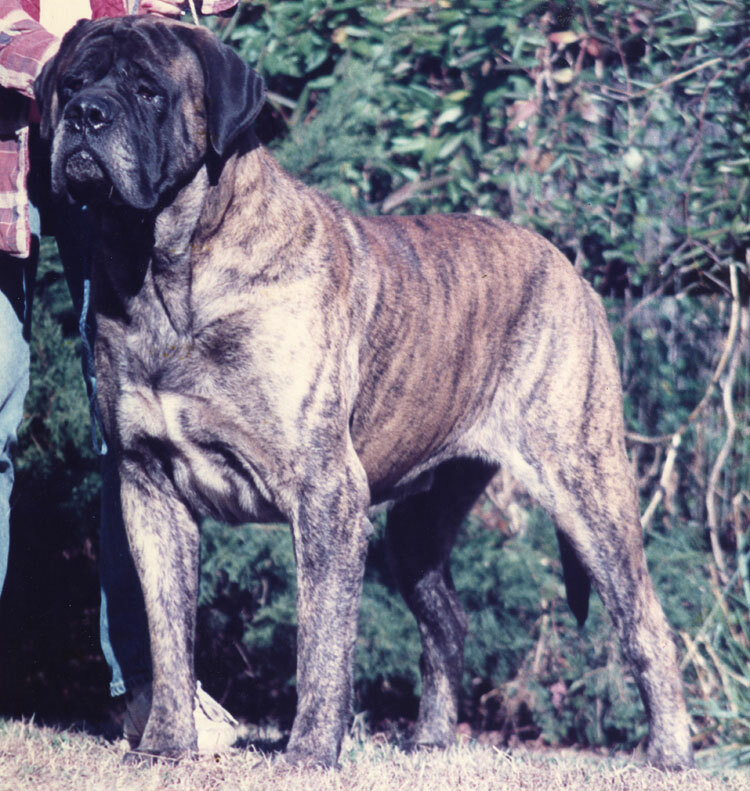 Major was out of the first breeding of Ursa (Ch. Old School's Ursa Major) to Ezekiel (Ch. Deer Run Ezekiel). He was a littermate to Sarge (Ch. Old School's Sergeant Major). Major was not as big as his brother but he was also a good sized boy, and very substantial in body and bone. His structure was excellent and he was a beautiful apricot brindle. Major went to the 1988 M.C.O.A. 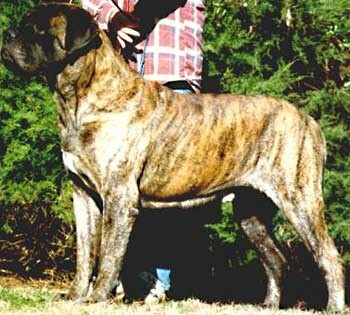 National Specialty in Seattle, Washington where he contributed to Old School mastiffs winning the Breeder of the Year competition. The first two pictures on this page were taken by Scott Phoebus of Iron Hills mastiffs. 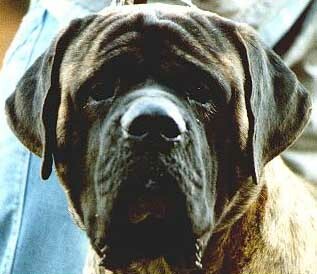 Major had what we consider to be one of the most beautiful heads we have ever seen on a mastiff. We are constantly trying to recreate the head type that he exhibited. Lucky for us, Major tended to stamp his offspring with that head. 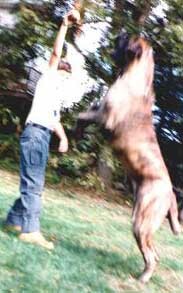 Major was an extremely active dog (a characteristic that sometimes worked to his detriment in the show ring since he was incapable of remaining still for any period of time) and he absolutely loved balls. He would go wild if he even saw one in your hand. He enjoyed playing soccer with John and Jessica, though more often than not, the result would be Major carrying a popped soccer ball around in his mouth.